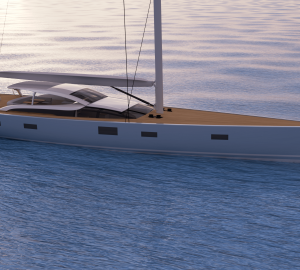 Luxury sailing yacht LIARA is an exciting high-performance yacht built by Southern Ocean Marine, who also built the record setting yacht Ecover. No expense was spared when building Liara, and she offers a fantastic combination of luxury, space, comfort and performance. Liara is finished in saple mahogany and Alcantara leather with detailing in solid burr, white oak and ebony. She is a fine example of craftsmanship and finish! 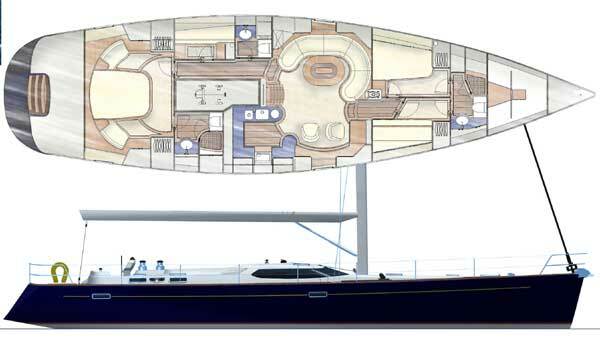 Liara’s deck has also been meticulously designed – the carbon steering wheel and controls are aft, while the spacious cockpit is forward and on the foredeck there is plenty of space for sunbathing or enjoying the hammock. 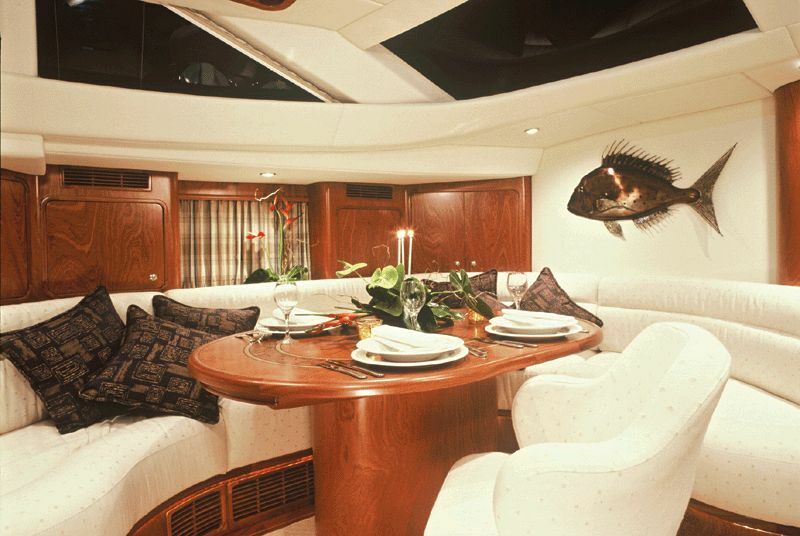 Liara can comfortably accommodate six guests in three cabins. 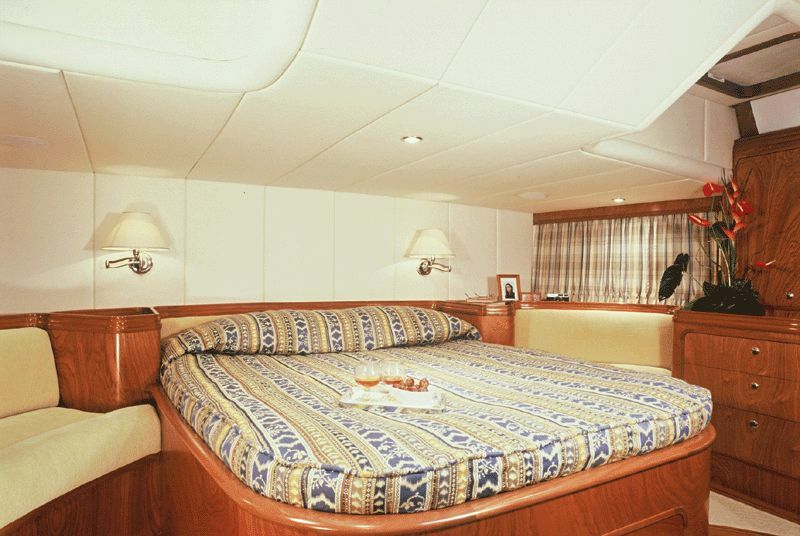 The master cabin is aft with a queen size bed. Forward of the panoramic saloon there are two guest cabins – one with a double bed and one with a set of bunks. They all have ensuites and air-conditioning. She is best suited to 4 adults, or 4 adults plus 2 children. 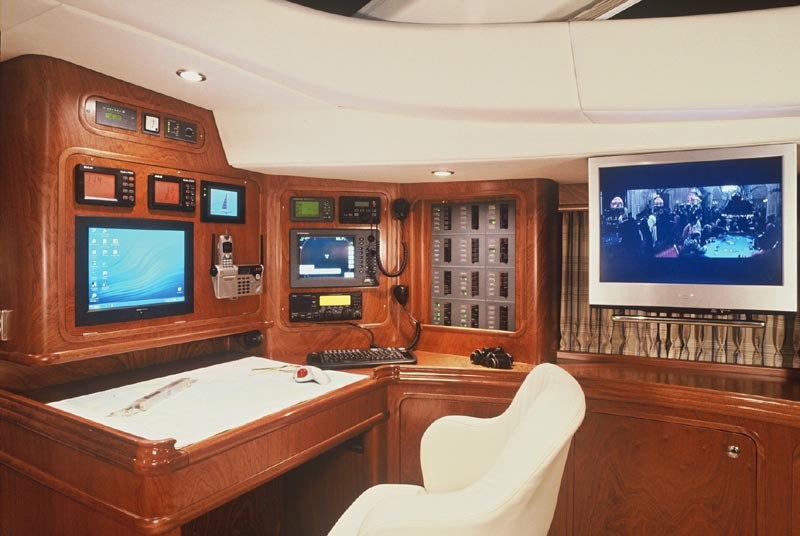 In the mail saloon there is a flat screen TV, and there is a huge music and DVD library on board for your enjoyment. 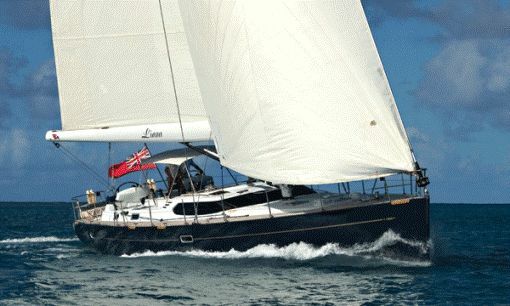 Liara won First Place in the 2002 Antigua Race Week Regatta and Second place in 2003, the 2004 Nelson's Pursuite Race as well as the 2005 Guadalupe to Antigua Race. The fantastic crew on board are varied in nationalities and can speak English, German and French. 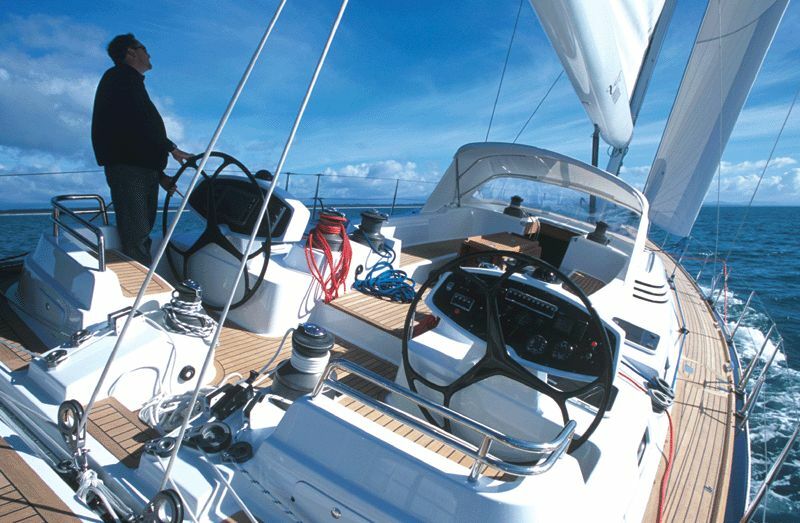 They will look after your every need whilst on board Liara, and you won’t ever want to leave! Liara is suitable for couples, families or groups of friends – no matter what your group type, the crew will make your holiday an unforgettable one. Liara has a master cabin aft with a queen sized bed. 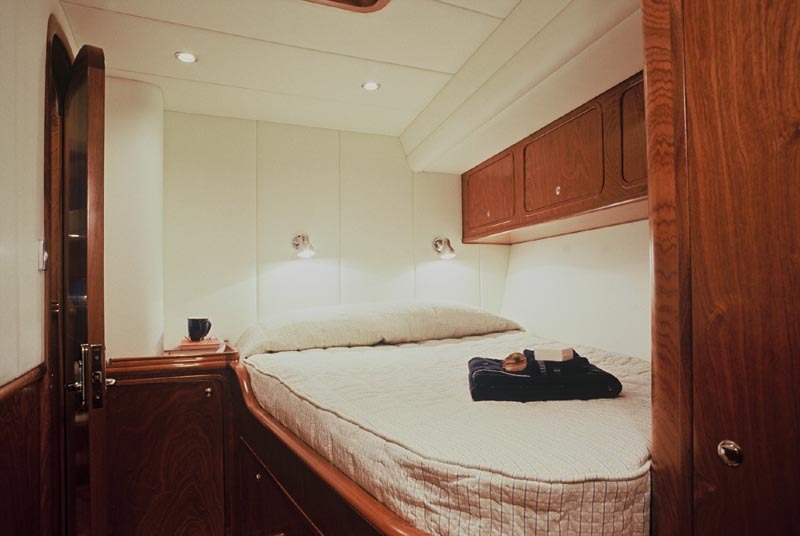 There are two additional guest cabins forward of the saloon - one has a queen size bed and the other with bunks. 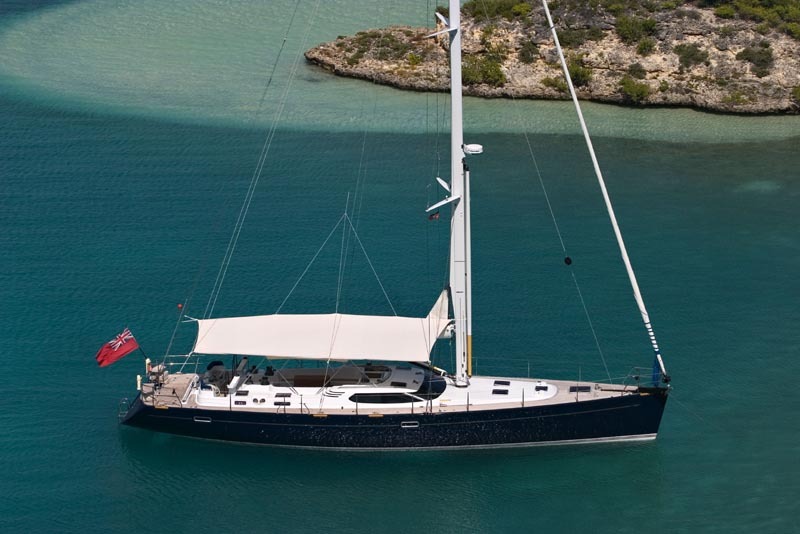 Liara will accept charters for 4 adults - and will consider charters of 4 adults and 2 children. 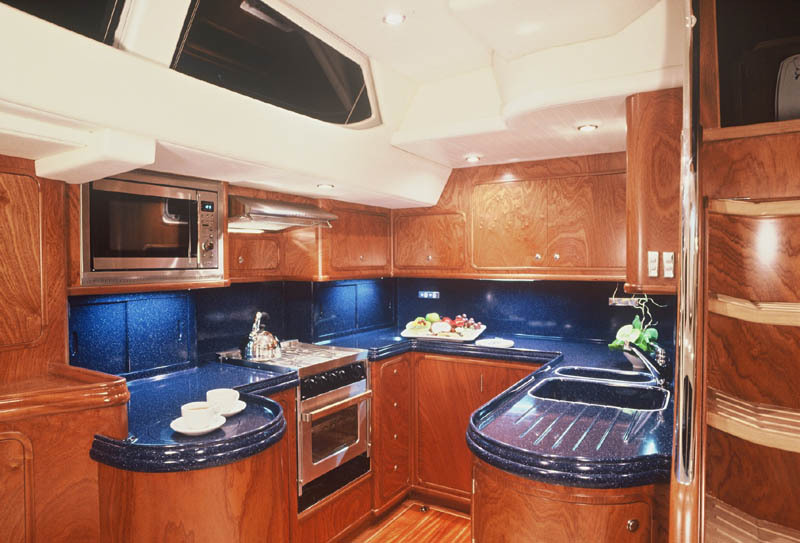 All cabins have ensuites and are air-conditioned.